One of the most popular casino table games is blackjack and you can find plenty of casino blackjack tips here at Playblackjack.com. We offer to our players a chance to better their game and their chances of winning when logging on to play. So, you've made a deposit. Nicely done. You've got $200 in your account and you're all set to play blackjack online. Now all you need to figure out is how much to bring to the table, and how much to wager on each hand. If you're a newbie, you might be inclined to bring all $200 to the online blackjack table. And you might be just as inclined to bet $50 per hand. After all, that's a surefire way to make big gains, right. Well, sort of. It's also a surefire way to lose your bankroll in less than 30 seconds. That's true online. And it's true when you play blackjack in Vegas. We recommend never bringing more than 25% of your bankroll to the table. While at the table, never risk more than 10% of your chips in hand. So, with a $200 bankroll, you should only really bring $50 to the table and wager no more than $5 per hand. The advantage of playing blackjack online is that the casino floor is entirely virtual. Without actual floor space to worry about, online casinos can offer pretty much every type of blackjack game around. We're talking about Lucky Ladies, Perfect Pairs, and other variations with all kinds of side bets to help you win more money more often. But just because an online casino offers 21 different variations of online blackjack, it doesn't mean they're all great. Some games skew the odds in favor of the house more than others, so make sure you do your research before playing. And this thought doesn't just apply to blackjack. It applies to all casino games. There are tons of online casino sites that invite you to play blackjack and earn a big bonus on your first deposit. It's pretty much standard practice at online casinos. Make a deposit and management will match your deposit. But way too many sites put restrictions on their Signup bonuses. We're talking about wagering requirements that require you to double down hundreds of times before you even see a nickel. And to make matters even more complicatedly worse, some sites don't even let you play blackjack with their bonuses, restricting your bonus to slots only. 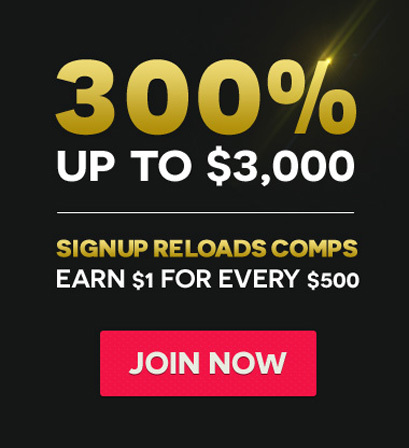 So before you sign up just anywhere, make sure the bonus you're about to take advantage works for online blackjack. Knew to all things 21? Then you're going to want to play blackjack online without actually risking anything. Believe it or not, some online casinos will let you play blackjack online for free—without even asking you to make a deposit. The ones that are generous enough to open up their free tables usually want you to create an online casino account, but it's well worth it if you want to play for free and learn the game. Not sure if the new place you're about to play blackjack online at is any good? Do a quick Google search. But don't just rely on what comes up at the top of the list. A first-page Google ranking really only means that the online blackjack site you're about to play at has put enormous amounts money into their search engine efforts, and not necessarily an equal amount into creating the best online blackjack casino. When playing blackjack one of the most favorable situations comes when the player gets the chance to double down. Having the opportunity of doubling your bet increases your chances to hit a bigger prize and lowers the casino house advantage; however, players also take the risk of losing two bets if they double down when they shouldn't. In this free Blackjack video tutorial by PlayBlackjack.com, players can learn the basic double down strategy and pick up when Doubling down can give you an edge over the house.